Xavier Acarín Wieland is a curator working at the intersection of art and social histories, with a special interest in performativity, process and situational practices. He holds a masters from the Center for Curatorial Studies at Bard College. And has curated projects for The New School for Social Research, Elastic City, Chez Bushwick, The Hessel Museum-CCS Bard, Peekskill Project 6, Java Projects, ESTE, and the Abrons Arts Center, where he was the 2016-17 Curator in Residence. He has also been in residency at HIAP, Helsinki (2016) and at La Ira de Dios, Buenos Aires (2018). In 2018 he was curator and panelist for the Miquel Casablancas Award, as part of a residency in collaboration between Sant Andreu Contemporani and Fabra i Coats in Barcelona. 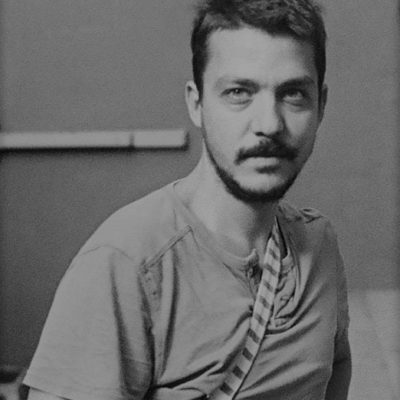 He has written for exhibitions at Galería ADN, Barcelona, and Participant Inc., New York. His articles, essays, and interviews have been published at A-Desk (2007-present), Culturas-La Vanguardia, Esnorquel, Terremoto, and BRAC (University of Barcelona). He has participated as author of the books Designing Experience (Bloomsbury, 2014), and Dear Helen (CCS Bard, 2014).